The DA1560 is a compact iron with all the benefits of a full sized Rowenta. Powerful steam is generated at a constant rate for optimal efficiency with a burst of steam button to remove tough wrinkles. The microsteam stainless steel soleplate has a precision tip for reaching narrow edges, seams and collars. 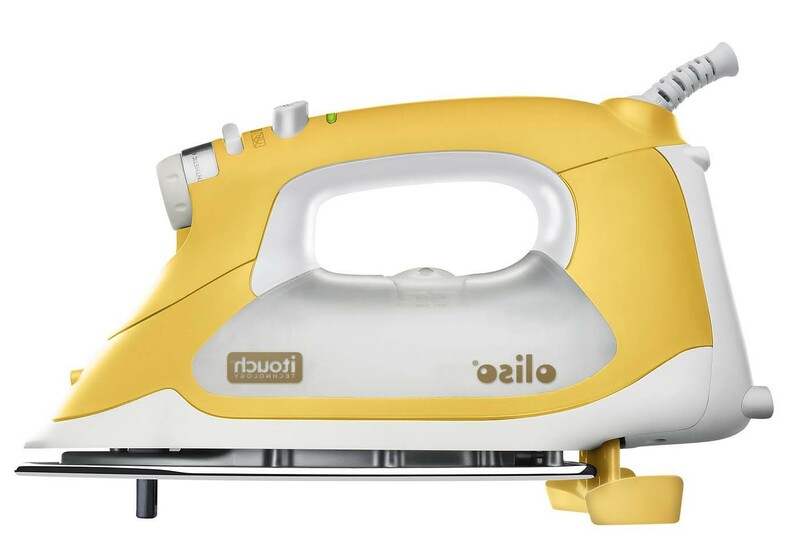 The compact iron has a full range thermostat for use on all fabric types, and vertical steam capability to remove wrinkles in hanging garments. A transparent tank holds over 2-ounce of regular tap water, and the handle folds flat for storage. Ideal for travel, a dual voltage switch ensures that the iron is powerful at 120 or 230-volt. Travel pouch included. The Oliso® TG1600 Pro features Oliso's patented iTouch® technology. Simply touch the handle and the iron lowers, ready to work. Take your hand off and the patented scorch guards lift the iron off the board preventing scorches, burns, and tipping. Less strain and 30% time savings are added benefits to this Smart Iron's 1800 watts of power and horizontal or vertical bursts of steam. 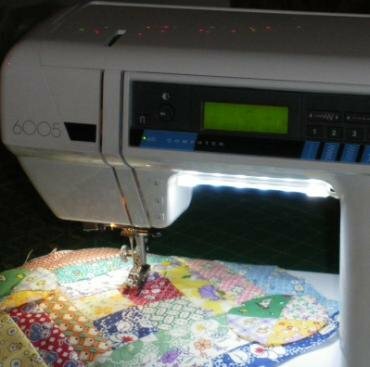 The TG1600 Pro features a 30-minute extended auto-shut off for sewers and quilters, a 12.7 oz side fill tank, a bead blast stainless steel soleplate, flat pressing surface, detailer tip, and a 12-foot cord for full range of motion. 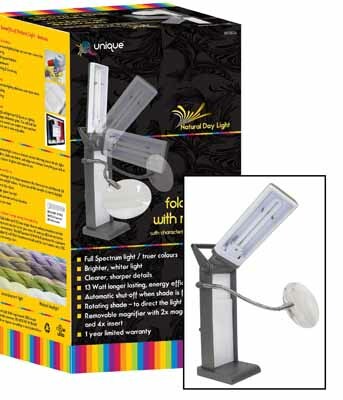 This full spectrum light mimic’s natural bright daylight to give you the best light possible for all of your sewing and crafting needs. The head of the lights is twist-able so you can aim the light in just the right spot, and for those small hard to see projects, it comes with a magnifier so you can get the job done. These lights were designed with quilters, sewers, hobbyists and crafters in mind. The LED’s are the best quality light available. You get true white vertical light to illuminate your entire work area and needle. The light is where you need it and does not give off any heat.